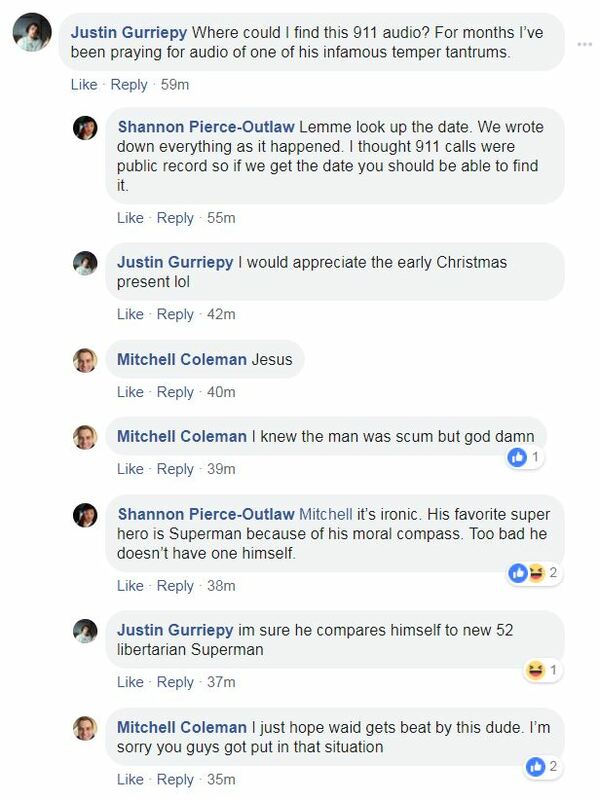 So this guy, 56 years old, lived with his mom, was in debt, alt-right Trump fanatic, I’m thinking he shares characteristics of many members of #ComicsGate. After reading some of his statements, I have to ask just what kind of lawyer this Zaid is supposed to be, spending all that time on social media ragging on what he dislikes. How does Zaid think he’ll make a persuasive case if he acts this contemptible, and drags in issues that should be left at the door while the case he’s representing is ongoing? A Scotswoman’s also recently made serious allegations against him, this tale also includes Dan Slott and Stephen Wacker. This case is becoming all the more disturbing. 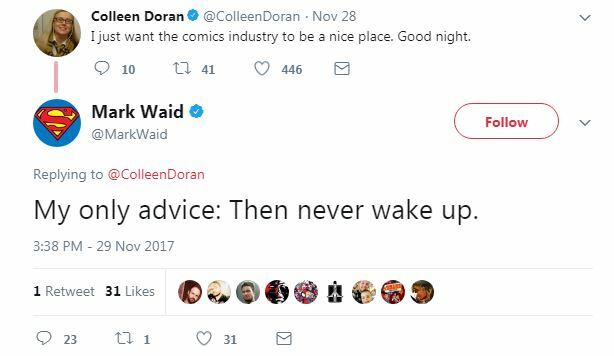 I don’t know if Mr. Waid was always this way, but if he’s sunk that low, it’s feeling as though he’s tainted even the better stuff he’d once scripted over 2 decades ago. No matter the outcome of this impending trial, chances at this point are that he won’t be a moneymaker for any company he works at, not even the Humanoids publisher owned in Europe, who made the potential mistake of hiring him last month as their “creative director”. 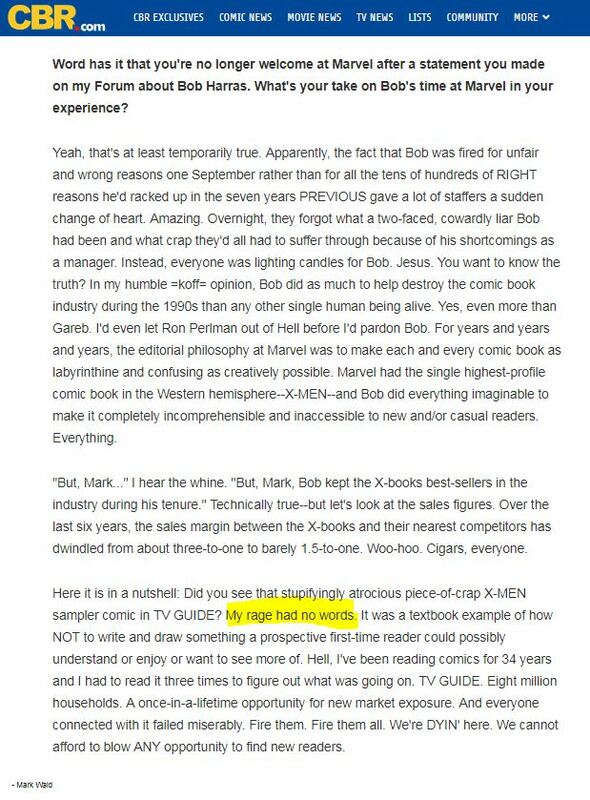 It’s become pretty apparent for several years Waid is the kind of writer who has disowned his past works, especially after he wrote Irredeemable in the mid-2000s, which could be seen as a rejection of the superhero genre. I’d strongly recommend he take some time away from the industry if he wants to make amends, go on a vacation and tour the countryside. 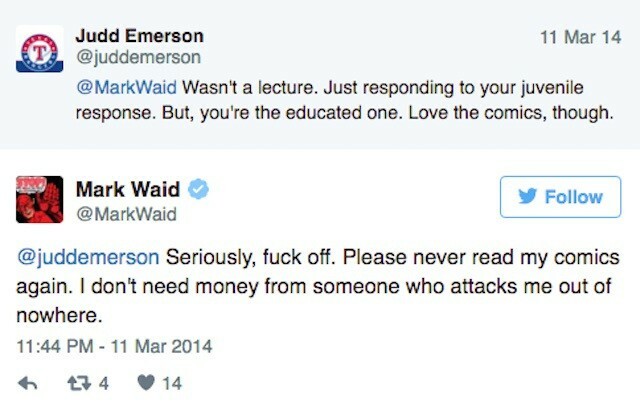 Anyway, for anybody who wants to fund Meyer’s own legal fees in case Waid loses and chooses to appeal, here’s a page launched for him by Ethan Van Sciver. The fundraiser has astonishingly nearly amassed an impressive $60,000 in 24 hours. 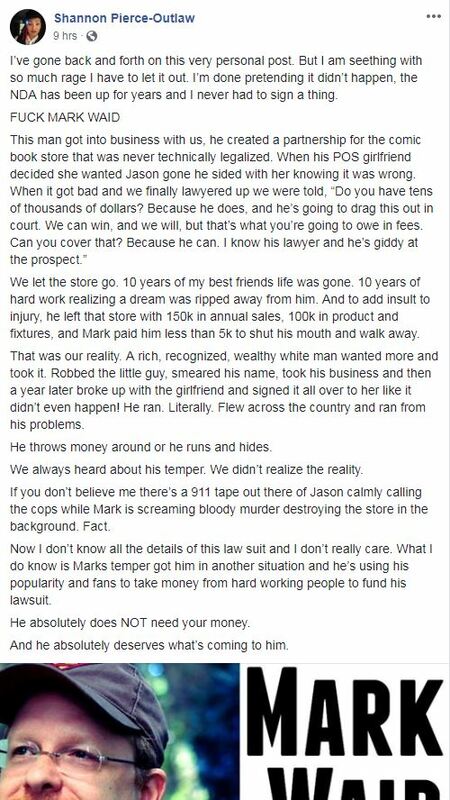 This level of support is coming far faster than Mark Waid’s Gofundme page, in fact as of this writing, Meyer’s fundraiser has raised more money than Waid’s in less time. Impressive for bunchof ‘russian bots’. Bottom line, is that it’s got to be made clear that the kind of behavior Mr. Waid has demonstrated, this ‘tortuous interference’ and ‘defamation’ is simply unacceptable conduct and is tantamount to gate-keeping. Two corrections have been made to this article where Avi stated that Nick Rikieta had been advising Richard Meyer. That information was incorrect. The spelling was also incorrect. It should have been “Nick Rekieta”.